High heels are fantastic. They make every outfit look better, give you a few extra inches in height, and you somehow just feel more ‘put together’ when you’re wearing them. As a general rule, high heels receive a strong thumbs up. However… it’s impossible to ignore the fact that heels aren’t exactly the most practical of humanity’s creations. Sure, you’ve probably mastered the ability to walk in heels, and you’re relatively comfortable while doing so. Sadly, there’s a difference between “being able to stay upright” and “being able to be as effective on heels are you are in flats”. Though it might pain you to admit it, the truth is that there are certain times and activities that your heels shouldn’t be involved in. 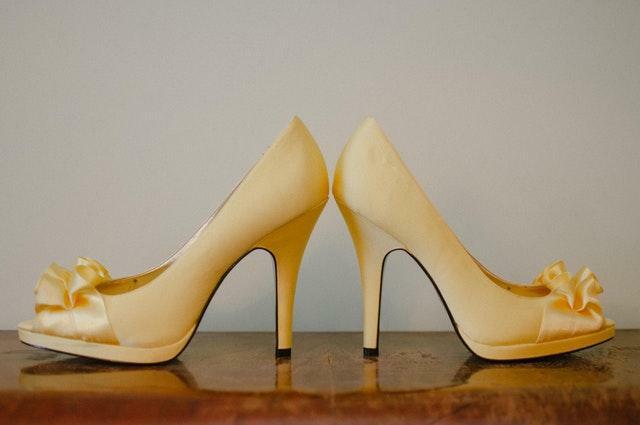 Sure, it’s physically possible to run in heels — but it’s probably not a good idea. When you wear heels, your feet and ankles are less supported than they would be in other forms of footwear. If you’re taking careful steps on smooth floors then that’s not much of a problem. However, as soon as you up the pace, you could find yourself in a world of pain. No one wants to have to rehab a twisted ankle, so if you find yourself needing to run, it’s better to take your heels off before you do! While many of us have driven in high heels on many occasions, the truth is that heels just aren’t appropriate footwear when we’re behind the wheel. When driving a car the last thing you need is distractions or — even more seriously — the potential for accidents due to your choice of footwear. It’s too easy for the heel to stick to prevent you switching pedals at speed; imagine needing to jam on the brakes and your heel getting caught in the mat. It does happen, and you could suddenly find yourself dealing with the aftermath of a crash and in need of a car accident attorney. To prevent such a scenario, carry a pair of flats in the back seat of your car; you can switch into your beloved heels when you reach your destination. If you’ve got a pair of heels that feel comfortable to walk in, you might think you could get away with wearing them to a concert — and then swiftly realize your mistake. Just because a pair of shoes are comfortable to wear for awhile doesn’t mean they’re going to be comfortable for a long time. If you do decide to wear heels to a concert or similar event, then stash a pair of emergency flats in your bag just in case. High heels should be enjoyed. They should be able to create that boost of self-confidence, that hyperfeminine experience that always brings a smile to your face. By keeping your heels reserved only for occasions and tasks where they can really shine, you can be sure they stay special.